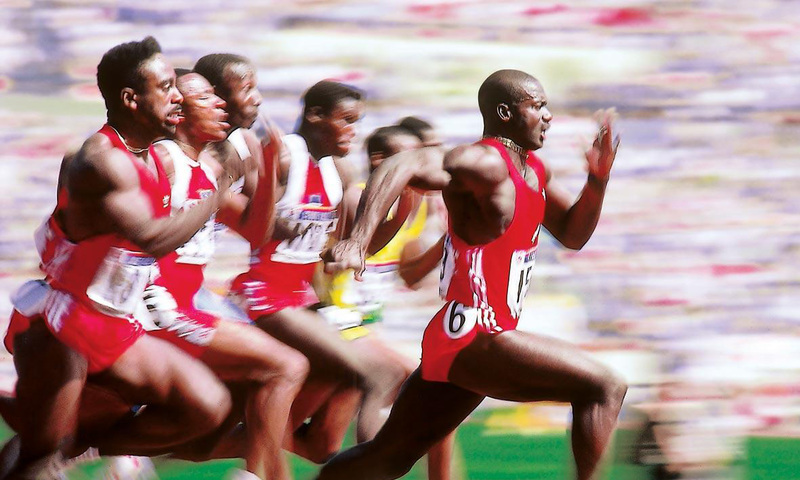 A Juxtaposition of Moments and Monuments that make up Olympic History. The highlight of any Olympic event is it’s landmark venue; the lavish economic splurge that results in a white elephant in your backyard. These static monuments are a reminder to the city that it was once the ‘centre of the world’. The flip-side of that is the drama that the games bring to our lives. However, these passing moments and fleeting emotions are soon forgotten. As the games drew to a close, my exploration began. I created my own interpolation of art and emotion; a juxtaposition of some of the most iconic stadiums in Olympic history with the most captivating moments that either took place in these stadiums or centred around the event. Where better to start than now. This year, the main events took place in the existing Maracana stadium in Rio, hence there was very little noise made about it. 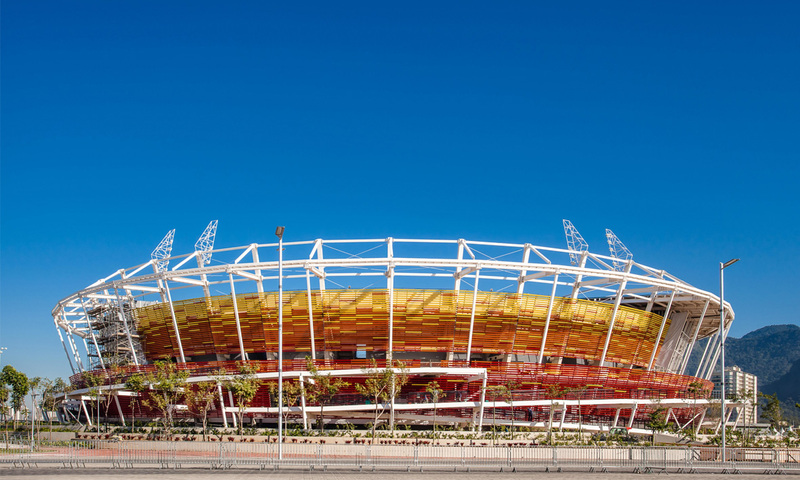 However the Tennis venue caught a few eyes with it’s multi-coloured facade and twirling structure. 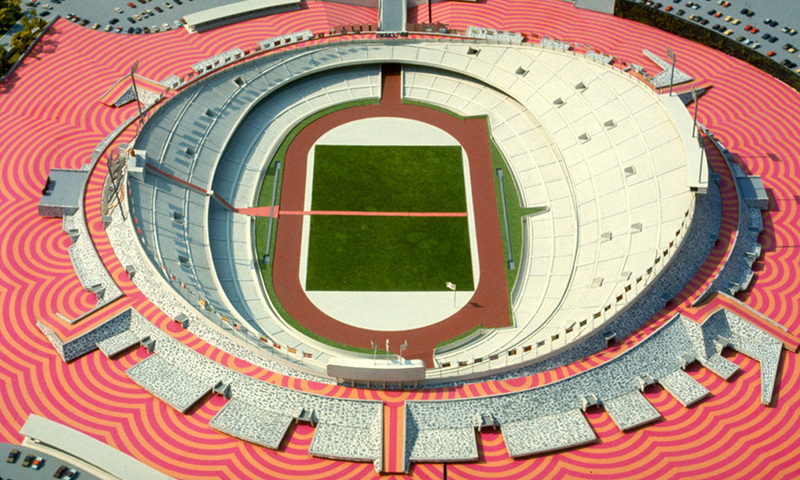 Way before “curvy stadiums” were a fad, Kim Swoo-geun designed this curved arena to mimic a native Korean vase. Designed in the mid-eighties, it was ahead of it’s time and definitely a precursor to many of these amorphic bowl-vase-calabashes being pumped out of NASA software nowadays. 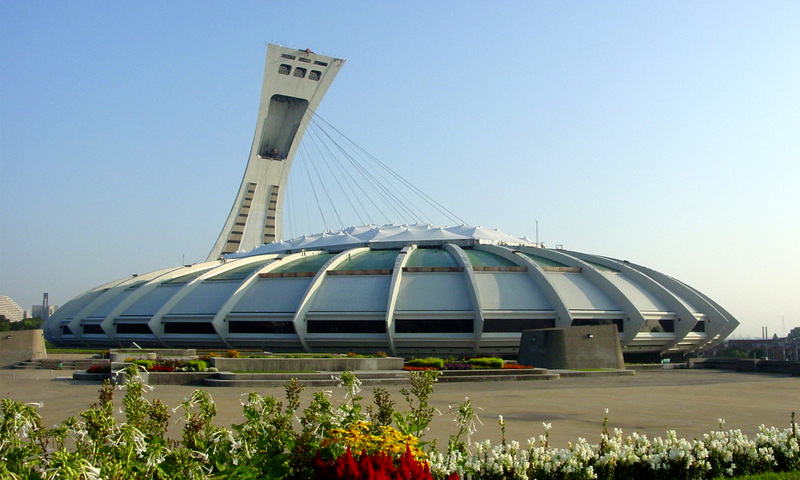 Speaking of white elephants, Montreal’s Olympic stadium is usually referred to as the “Big Owe” because of it’s exorbitant cost and unending structural issues. It boasted the world’s tallest leaning structure and as you can imagine it must have been like something out of Mars. However, it stood unfinished by the time the opening ceremony commenced. 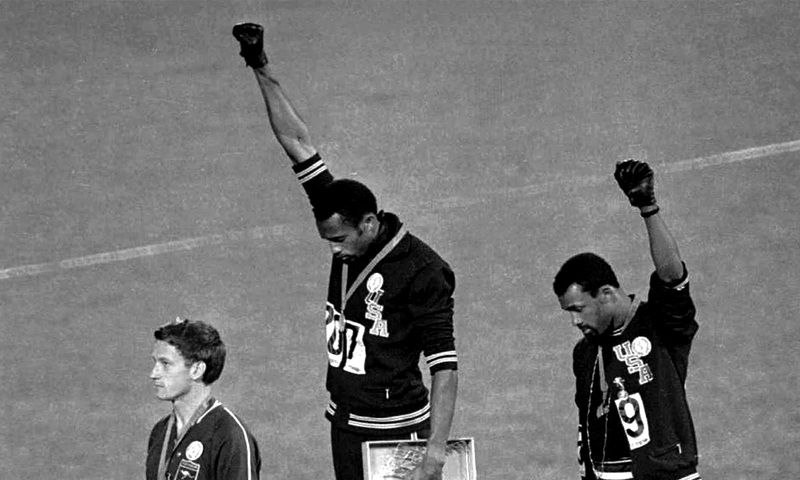 Added to this, all African countries decided to boycott the games; well it was 1976, go figure. Unexpectedly, it was a petite 14 year old gymnast that captivated the world with her acrobatic prowess. Nadia Comăneci scored the first ever perfect 10. 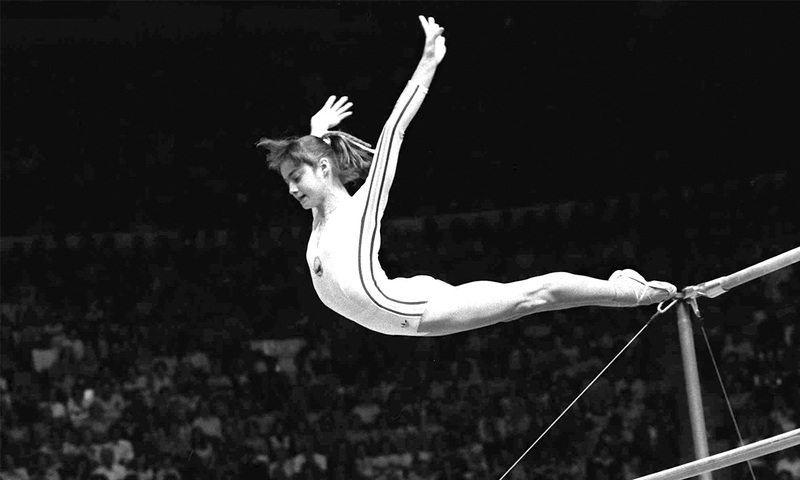 Still considered a living legend today, she did things on the uneven bars that are still unmatched. You have to see it for yourself. Berlin 1936 – Racial Supremacy? Like many structures of the Third Reich, this stadium is classically ordered and beautifully detailed. 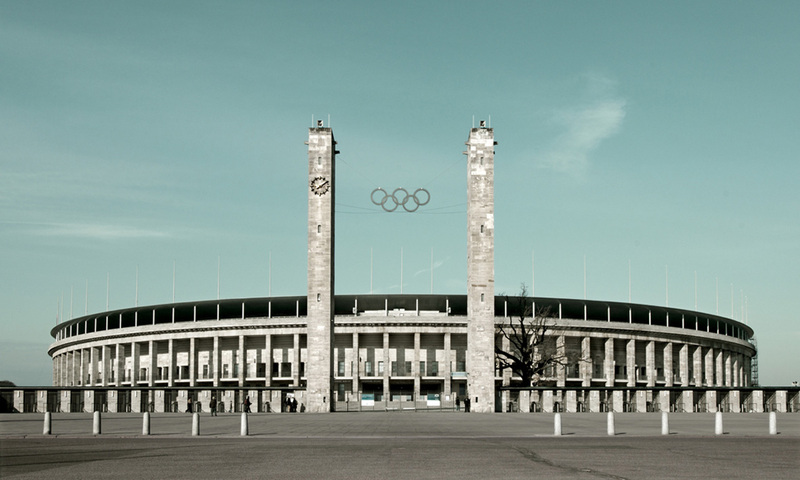 Hitler ordered the construction of a colossal sporting complex and fondly named it the Reichssportfeld. 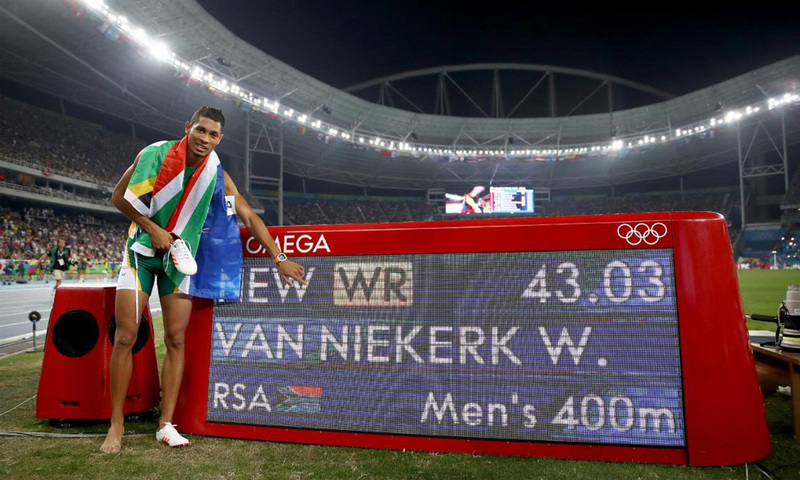 It was his illustration of Aryan supremacy and part of his promise of complete athletic dominance during the games. Enter, Jesse Owens. In a storybook ending for the ages, Owens went into Berlin and came out as the most successful athlete of the games. I can only image the how thick the air must have been in that stadium. This picture says enough. Somewhere in that sunken amphitheater were two black men with two black gloves and they did what no one expected. 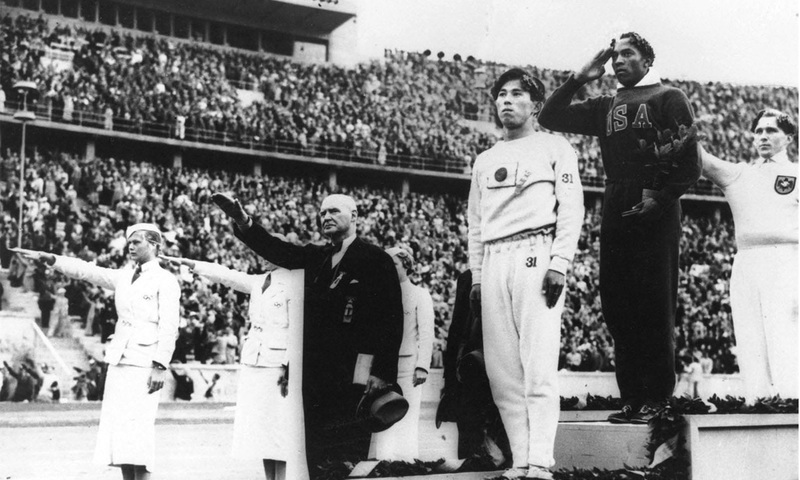 In accepting their medals they raised their fists in protest of their their plight during the struggle of the Civil Rights Movement. They kept them raised through the entire Star-Spangled Banner anthem while everyone held their breath. This was just months after the assassination of Martin Luther King. Possibly one of the most iconic images in sport. 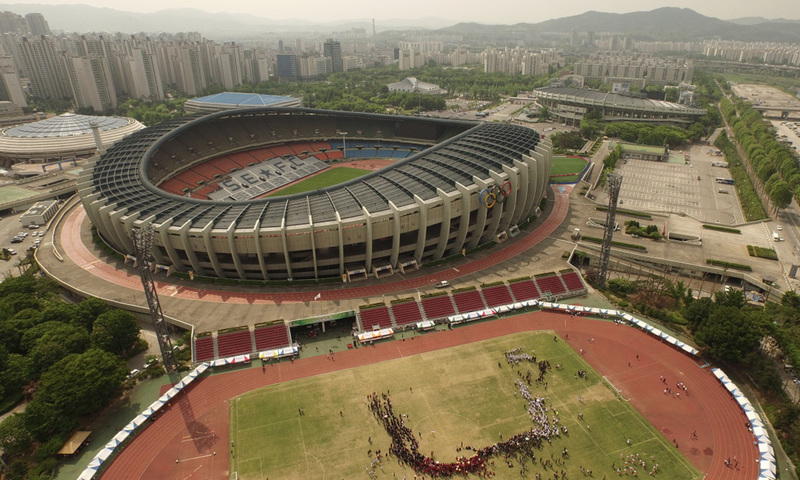 If I had to rank the greatest Olympic stadiums of all time, this would be number 1. A monumental feat of architecture and engineering that blew us all away. 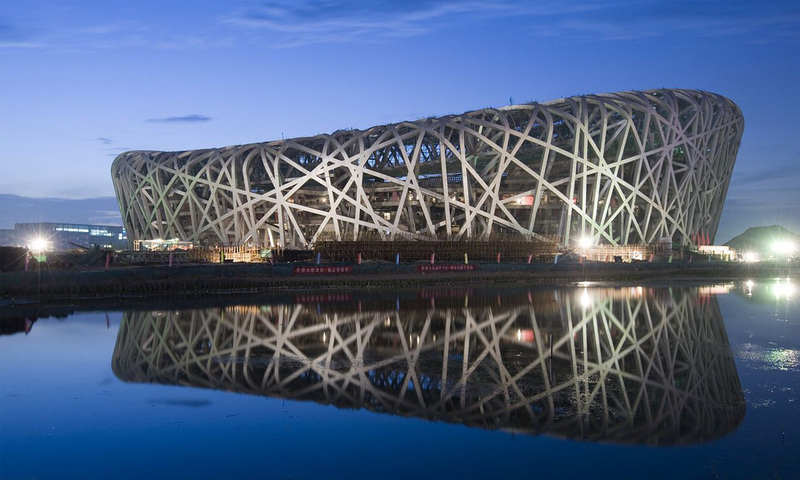 Swiss firm Herzog & de Meuron designed Beijing’s national stadium with such elegance that it makes tonnes of steel feel like soft yarn. A masterpiece! 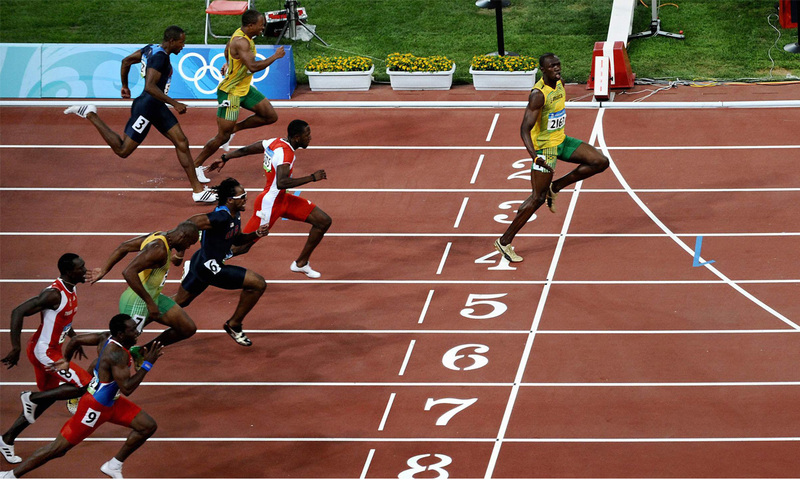 Watching Usain drop his arms and slap his chest as he crossed the line, in 9.69 seconds, cannot be described in words. Sorry. 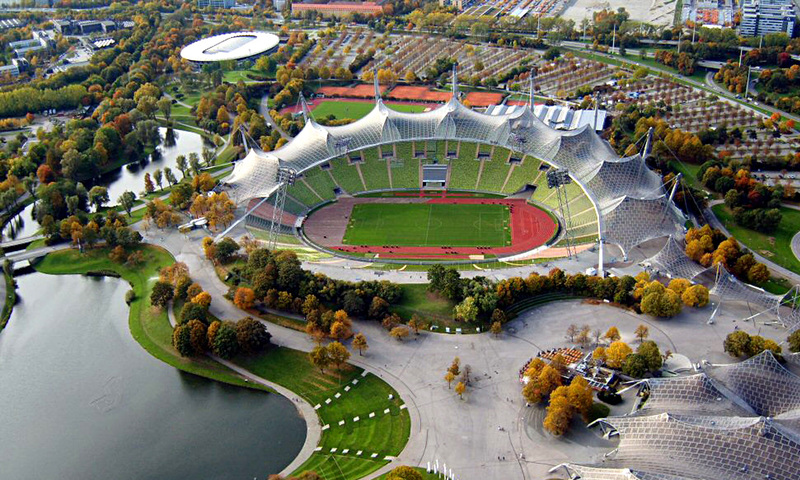 Another great feat of engineering was Frei Otto’s Munich Olympic stadium. It’s use of tensile structures was pioneering for it’s time and the scale of it’s construction is quite a spectacle. A proud moment for German engineering. A dark cloud came over the Olympic world after the differences between two groups got the better of a peaceful gathering. The Munich games in ’72 saw the abduction and execution of 11 Israeli athletes by an extremist Palestinian group. 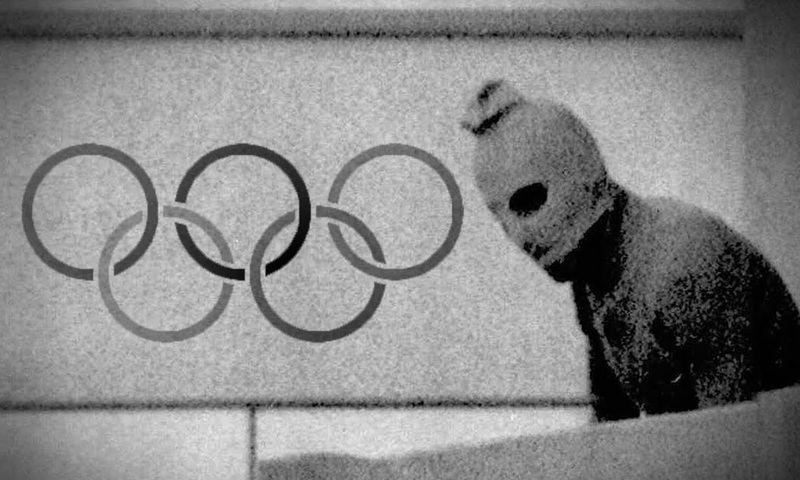 This image of one the terrorists has become infamous and is unfortunately the most recognizable symbol of the 1972 Olympics. …Ok, really, now go and find that dancing weightlifter.